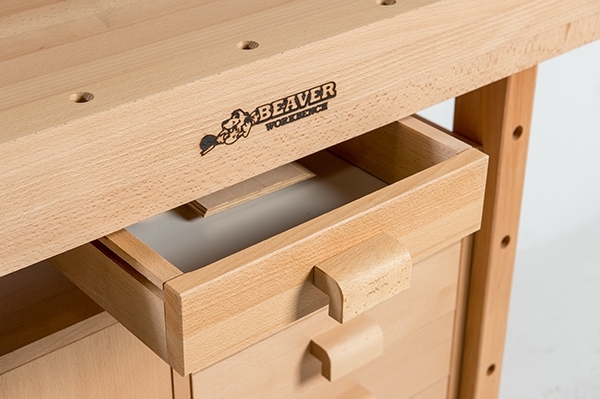 This European-made Premium Plus model Beaver Workbench is the same bench as the Beaver Premium bench, with the addition of the Beaver Tool Storage Cabinet. 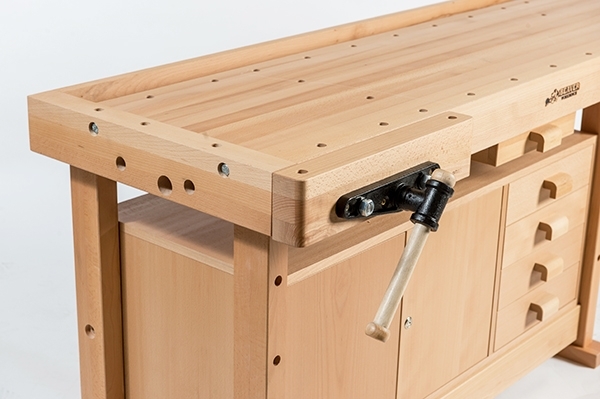 This lockable tool storage cabinet with four adjacent tool drawers fits underneath the bench. 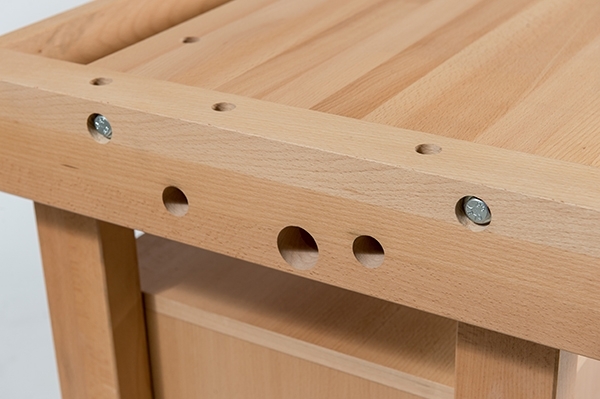 The Premium Plus bench is made of high quality European beech hardwood for high durability and a long service life. 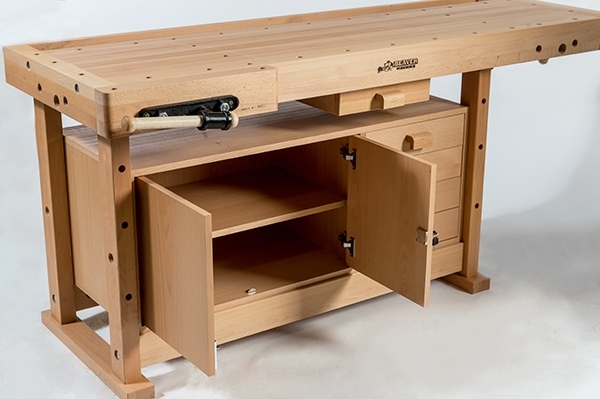 The large top is a full 2” thick adding to its weight and offering great working stability. A 4.5” thick apron allows mounting of the two included cast iron Acme screw vises for either right-handed or left-handed users. The pre-drilled mounting locations are provided at both ends of the top and at both the right and left side of the front apron. The jaws of the vises are 19” wide and open up to 8” wide. 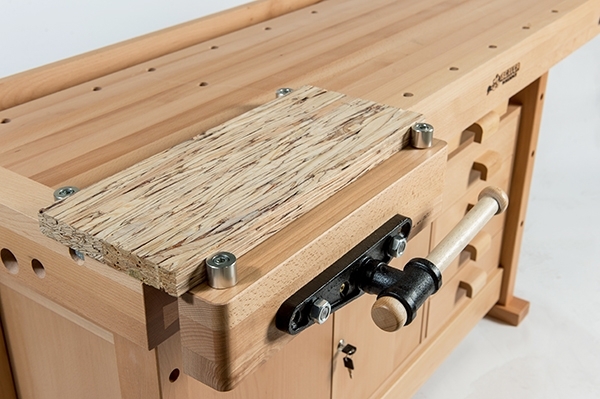 The 73” x 24” work area includes 32, ¾” bench dog holes and has a trough at the back of the bench for holding tools and materials. 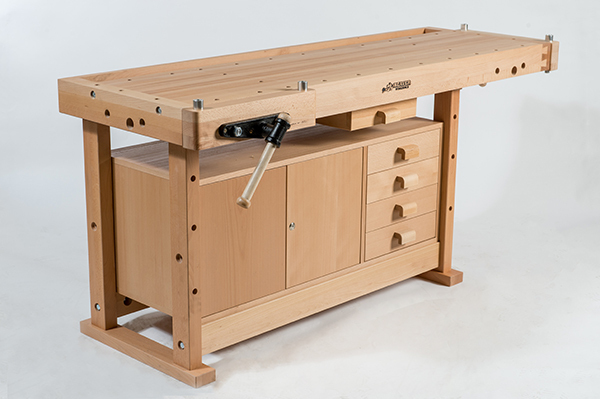 There are four round steel dogs and a tool drawer included with the bench. 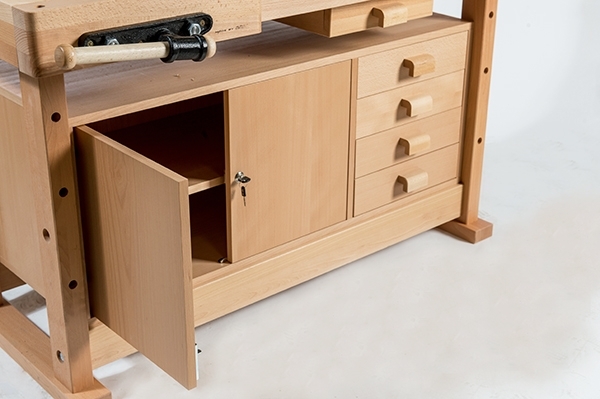 The center drawer is perfect for items you want to keep close at hand. 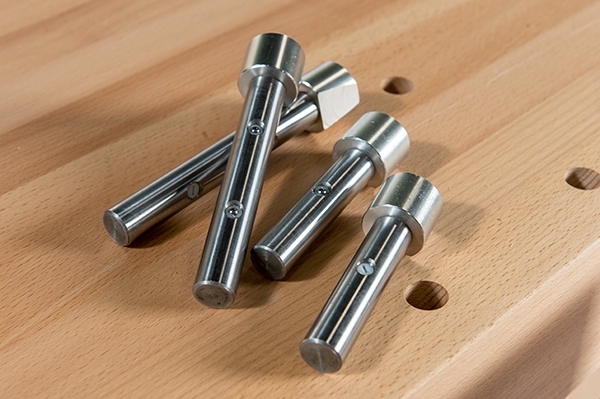 The vises will add an extra 6.25” to the length and width of the top in the closed position. The tabletop surface sits at a working height of 34.25” and the bench itself weighs in at 198 lbs. plus the vises.